A castle machicolation is sometimes known as a ‘murder hole’. They were an important defensive feature of Medieval castle architecture. Today, you can see machicolations in some surviving Medieval castles. Other castles, especially those built in the late Medieval period, have decorative features which were made to look like machicolations. A machicolation is a little like a balcony with holes in the floor, built high on the side of a castle. Those defending a castle could throw objects through this hole at attackers below. In fact, the word machicolation probably comes from the old French words for ‘crush’ (machier) and ‘neck’ (col). Neck crushers – nice! However, the first machicolations were probably designed for a different purpose. In early Medieval times, people defending a castle would have used machicolations to defend their castle against attackers who were trying to set fire to it. Fire was a devastating weapon. It would have made short work of the strongest wooden towers, gateways, or portcullises. On higher floors of a castle, Medieval people often added sticking out wooden platforms with holes in. These overhanging platforms were the first machicolations. The people defending the castle could climb onto these platforms and pour down water to quench a fire below. Of course, you could throw whatever you liked through these holes…! Soon enough, Medieval people threw heavy rocks and stones, arrows, darts and other missiles down through these machicolations. There’s no doubt that all of these heavy things could kill a man below. Overhanging machicolations built into Caesar’s Tower of Warwick Castle, England. Credit: Tyler Brenot, Public Domain. Nowadays, everyone seems to believe that Medieval people defending a castle might have poured boiling oil onto anyone trying to attack the fortress. There’s not that much evidence that this ever happened, though! After all, it takes a lot of effort to find, boil and pour oil, especially in a chaotic siege. You can see very clear machicolations at the top of the two gatehouse towers, and around the tower on the right. This is Raglan Castle in Wales. However, there is evidence that lots of gross things could have been hurled through machicolations – including animal dung and even dead bodies! As the Medieval period went on, machicolations were often ‘built into’ the fabric of a stone castle, rather than just being wooden platforms ‘stuck on’ later. As the photos on this page show, they became a defensive feature built into tall towers or gatehouses. Clearly visible, overhanging machicolations on Rhodes Kastello, Rhodes. Credit: Luc Coekaerts, public domain. The people designing a castle identified the weak points in its design. These might have been a doorway which was difficult to defend, or a tower with an unprotected corner, which could be burrowed beneath so it collapsed. They then built machicolations above these areas, to strengthen the weakest parts. Machicolations also acted as a visible deterrent to attackers. Would you dare to break down a door, or burrow beneath a tower, if you could see a machicolation above you? In castle gatehouses, you’d often find small, round holes in the ceiling. Technically speaking, these are a sub-type of machicolations. They’re known as ‘murder holes’, or meurtrières. People defending a castle could throw things through the murder hole to try and kill the attackers below. Murder Holes and Machicolations served the same purpose, but technically they’re not quite the same thing. This is because a murder hole is built into an existing ceiling, whereas a machicolation sticks out from a high level castle wall or tower. Where Can I See Some Examples of Machicolations? There are a few ruined Medieval castles where you can see machicolations. Some great examples are in Conway Castle in North Wales, where many of the towers bristle with machicolations. Series of machicolations upon Lewes Castle. Another impressive series of machicolations is in Lewes Castle, in the south of England – ‘1066 country’. Why Do Some Other Castles Have ‘Fake’ Machicolations? In the late Medieval period, it was much less common for a castle to be besieged. Even so, it was important for castles to maintain an appearance of strength and ferocity. After all, the point of owning a castle was to show off! As a result, many late castles had sections which looked like machicolations from a distance – but, if you got underneath, there were no holes whatsoever. You can see these ‘faux’ machicolations on hundreds of castles all around the world. Some examples are in Bodiam Castle, in England. Bodiam was meant to look incredibly mighty, but the reality was that it could never have survived a real siege. Nowadays, these fake machicolations are a recognisable part of many castles. Even the castles of DisneyWorld have outpouchings designed to look like machicolations! It’s a good example of how defensive Medieval architecture developed into a decorative and aesthetic style in the neo-gothic and modern periods. 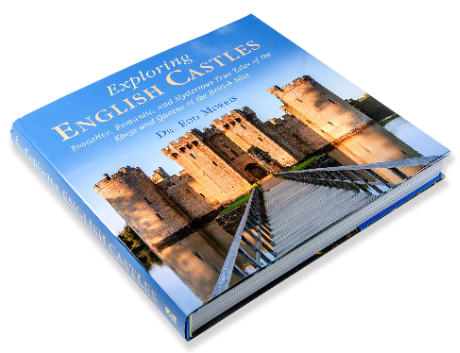 Want To Explore Castles with Machicolations? If you’re interested in reading about a castle with machicolations, have a look at my article on Lewes Castle, England. Otherwise, are you interested in reading more about defending a Medieval castle? You could also go back and learn more about different parts of a castle. Uncover the purpose of castle machicolations, which were sometimes called 'murder holes'. 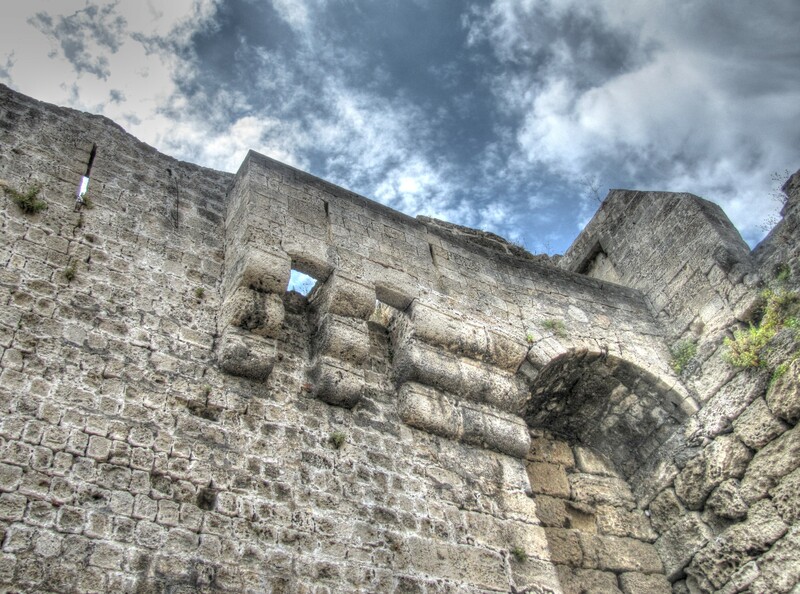 Discover how a machicolation was used to defend a castle.